Bambiraptor was a carnivore (meat-eater) that lived in North America during the late Cretaceous period, about 75 million years ago. Bambiraptor is believed to have feed on small mammals and lizards. Its hands could probably reach its mouth, and it may have grabbed its prey and brought them to its mouth in this way. Generally speaking, it was a very bird-like animal, and was probably covered in feathers. It also had a well-developed wishbone, and a relatively large brain (the largest known for any dinosaur as compared to its body size) - it may have been as smart as some modern birds. 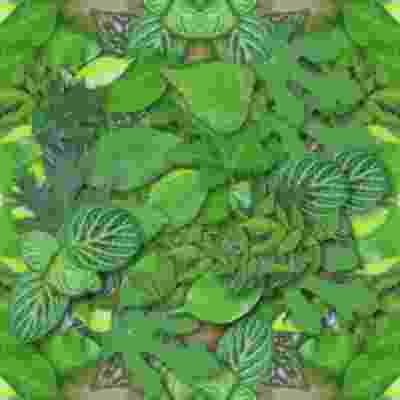 There is also some speculation that it may have led an arboreal (living in trees) lifestyle. The first Bambiraptor fossils were discovered in Montana in 1995, by Wes Linster, who was then only 14 years old. This specimen is today located in the American Museum of Natural History in New York. North American Dinosaurs - Bambiraptor lived in North America. Bambiraptor was a genus of dinosaur. "Bambiraptor" means "Bambi thief" ("Bambi" refers to the Disney character). Bambiraptor was a member of the Saurischia ("lizard-hipped") order of dinosaurs. What this means, is that although Bambiraptor was not closely related to lizards, it did have similarly shaped pelvic bones. 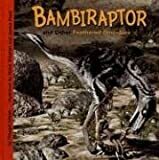 Bambiraptor was a Theropod - a member of a group of related bipedal dinosaurs that included the ancestors of birds (although Bambiraptor was not itself an ancestor of birds). Bambiraptor lived about 75 million years ago, during the late Cretaceous period. Bambiraptor lived in North America. Bambiraptor was a carnivore (meat-eater). Bambiraptor was about 6 feet (1.8 meters) long, and about 3 feet (0.9 meters) tall. Bambiraptor weighed about 7 tons. 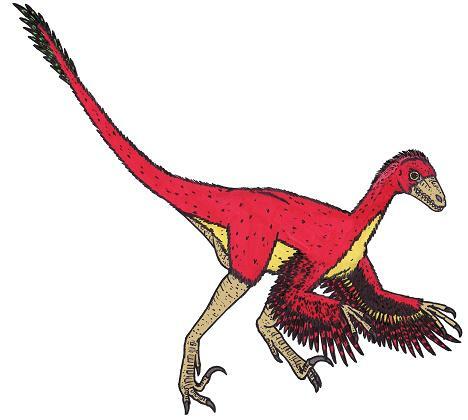 Bambiraptor was very bird-like, had a well-developed wishbone and was probably covered in feathers. Bambiraptor had the largest brain for its size of any dinosaur known (although this may be in part because juvenile animals have so far been found), and might have been as smart as some modern birds. Toward the end of the Age of Dinosaurs, some of the meat-eating dinosaurs became birdlike. They were covered in feathers. Learn how these dinosaurs lived and compare them to modern-day animals. Raptors like Velocirpator were small, deadly dinosaurs. These carnivores and omnivores may have looked like birds, but they couldn't get off the ground. Bold images, colorful maps, and interesting facts take readers back to a time when these deadly hunters walked the earth.